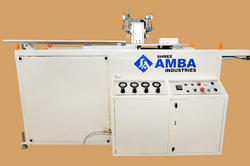 Manufacturer of a wide range of products which include pvc pipe cutting machine and pipe cutting unit. We are engaged in offering a wide range of Tube Cutting Machine to our clients. The provided unit is widely used to cut pipes in a standard size. The offered range of product is made from high-grade quality raw material to meet the international quality standard. These products are manufactured under the supervision of best quality experts using advanced technology. These products are highly demanded in the market due to their world class quality and available at leading market price. We are one of the trusted names to offer Pipe Cutting Unit for our valued clients. The provided machine is widely used to cut pipes to a standard size. At our well-equipped manufacturing house, this equipment is manufactured making use of high-quality components with the help of pioneered technology in tune with predefined industry standards. Beside this, Owing to its sturdy structure and perfect functionality, our prestigious patrons immensely appreciate our offered equipment.